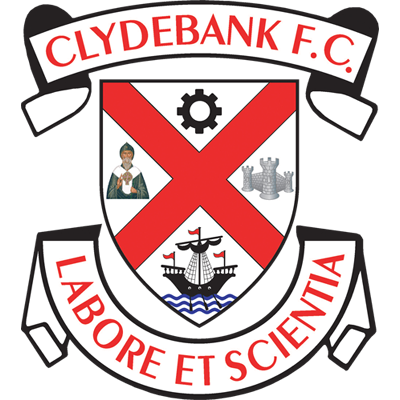 Clydebank’s unbeaten start to the season came to an end with a 4-0 thumping at the hands of Auchinleck Talbot at Beechwood Park this afternoon. 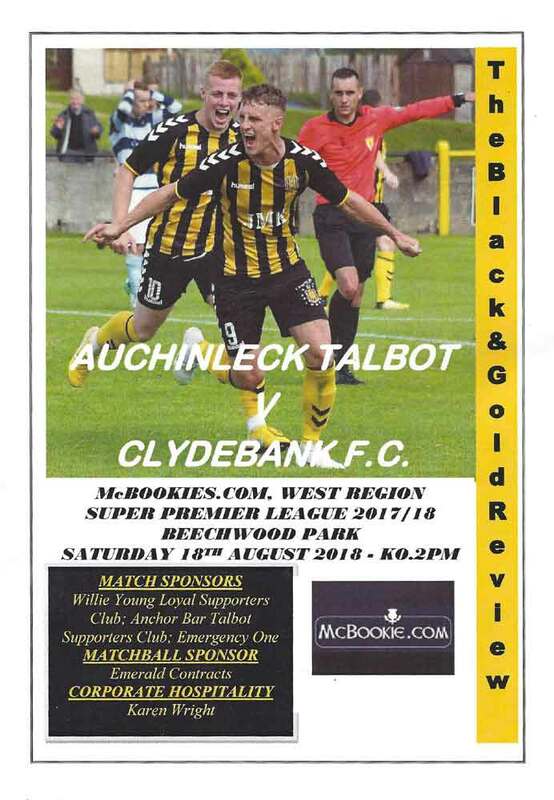 The Bankies will feel the score is a bit harsh overall, but did not look likely to come back after the loss of the first goal. In fact, it wasn’t too much of a surprise that the home side added to their tally. It could have been all so different after Nicky Little had a dreadful miss after only three minutes. He was put clean through on the goalkeeper after a mis-judged back header by McPherson. Showing uncharacteristic hesitation, Little took too long and Leishman was able to narrow the angle and turn the forward’s shot away for a corner. 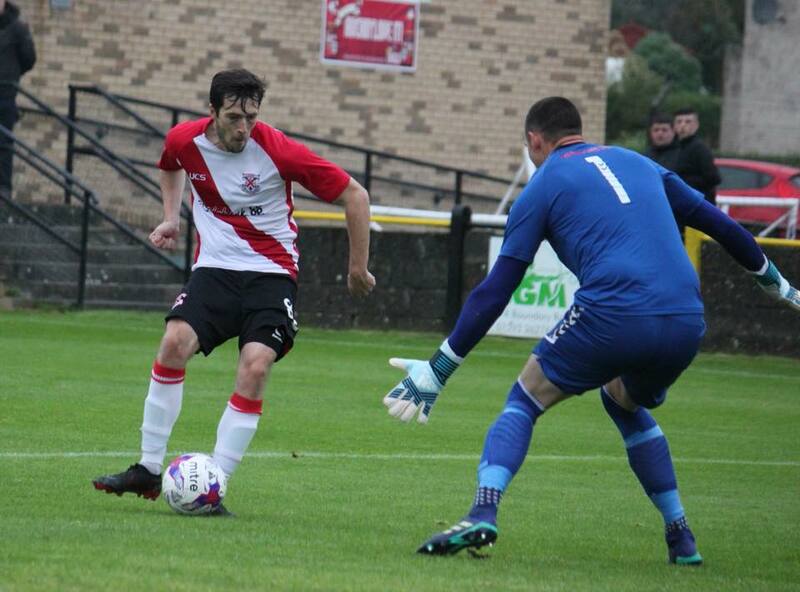 The Bankies acquitted themselves well in the early stages, and had another chance to take the lead after 9 minutes when Alan Vezza met a McIndoe cross, but sent his header wide of the goal. 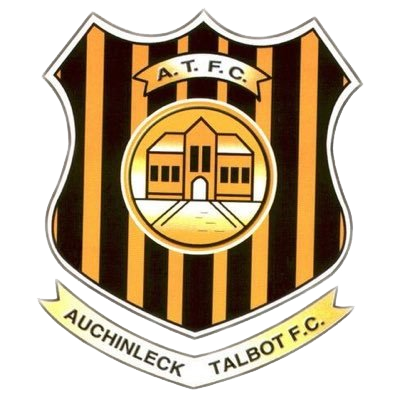 Auchinleck, despite having more of the ball only managed to create some half chances and it took until 25 minutes for the home side to have a proper sight of goal. Wilson made a charge for goal aided by the slip of a Clydebank defender that open the pitch up for him. He slipped the ball wide to Shankland whose left footed low drive across the goal was well turned away for a corner by Waters. With 7 minutes until the break, Clydebank had another decent opportunity when the Sean Higgins got beyond McPherson on the right wing. He smacked the ball low across the six yard box for his namesake Stevie, but the ball was just agonisingly out of reach. At the other end Shankland had a good opportunity when he found himself clear on the left, but he delayed his shot too long and it ended up being a poor effort. Overall, the first half was fairly even and the Bankies would have been relatively happy with their performance, but it all went downhill in the second period. The opening ten minutes were fairly quiet, but it was becoming apparent that the Bankies were not threatening at all, were not retaining possession in the opposition half of the pitch, and were beginning to get push back. It was to be a long ball that was to be the Bankies undoing. A punt by Leishman into the troublesome right back, area found Shankland who controlled it superbly. He raced into the box and played it to Wilson who side footed it home. Three kicks from goalkeeper to goal. Not great defending. I thought at this stage that it was game over as I couldn’t see the Bankies scoring, and within four minutes it got worse as Talbot made it two from the penalty spot. I couldn’t quite see from my vantage point what actually transpired, but that is now four penalties in consecutive matches the Bankies have conceded. Wilson fair rattled the ball into the net to double Talbot’s lead. The Bankies were struggling to keep it together at this stage and Talbot were moving the ball about with confidence. They almost added a third in 72 minutes when a cross from the right was almost put into his own net by Lightbody, but it luckily came off of Waters heel when it looked like he had turned his back on the challenge. It didn’t matter as goal number three came a minute later when Wilson tapped in at the far post to score his hat trick. With nine minutes remaining Hyslop headed home from a corner to make it four and give the home side a convincing result. The second half performance was disappointing, and was a bit of a capitulation in the end up. The Bankies are definitely an improved outfit from this time last season, but the reality check from today and the last two games has definitely given a new perspective. A top half finish in the league would be a decent improvement on last year, as it may still be a bit on the hopeful side to believe we can challenge the top four of five clubs.